Brian Busby is the author of A Gentleman of Pleasure: One Life of John Glassco, Poet, Translator, Memoirist and Pornographer. Trudeau vs. Brazeau, The Hampton Inn Convention Centre, Ottawa, March 31, 2012: Ezra Levant called Justin Trudeau “the Shiny Pony,” dismissing him as a ballet dancer who’d wanted to wear pink boxing gloves to the fight. Seconds into the match, he predicted an easy first-round victory for Patrick Brazeau. Sun News Network, his employer at the time, issued an apology for Levant’s words. It was not the first time, but it would be the last; months later, the network went off the air. Today, Levant has his own media site, The Rebel, of which he is the self-ranked “Rebel Commander.” Brian Lilley, the Sun co-host of Trudeau vs. Brazeau, is one of his foot soldiers. 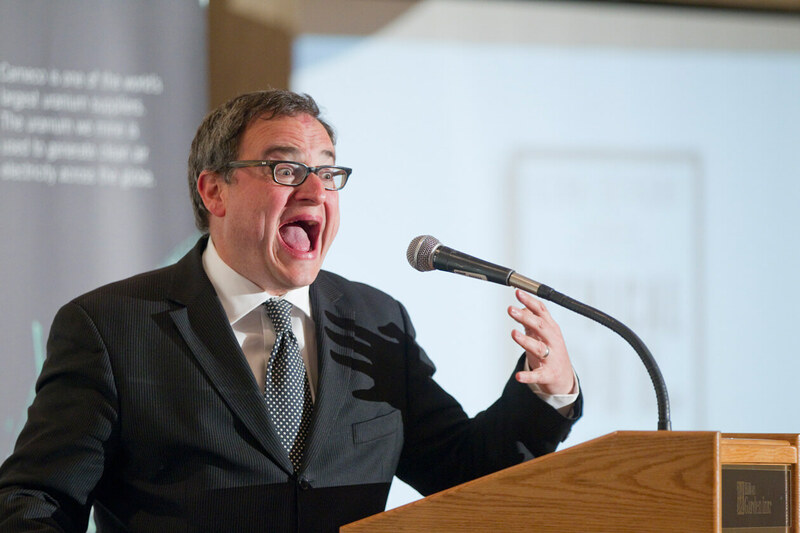 Now, Ezra Levant can say whatever the hell he wants. Last week, in the wake of the shooting in Quebec City, he speculated that gunman Alexandre Bissonette just might be a Muslim convert. The week before that, he was getting all giddy speculating whether Margaret Trudeau features in Surviving at the Top, Donald Trump’s fanciful 1990 sequel to The Art of the Deal. Might she be the “Madam X” who shared “an incredibly torrid scene” on a couch with one of Donald Trump’s friends? Was it her? Did they do it? Did they? With three-time champion Stephen Harper now in retirement, this crowd looks to Trump to give Trudeau a drubbing. The first Ezra Levant book published by Rebel Media, Trumping Trudeau is barely a book at all. It amounts to no more than 18,000 words, but it is worthy of attention. Anyone with a subscription to The Rebel—full disclosure: I gave up mine as a New Year’s resolution—will find much of Trumping Trudeau awfully familiar. For the most part, it’s a rehash of Levant’s many criticisms of the man, beginning with his years as a rookie member of parliament. Remember four years ago when Trudeau said, “There’s a level of admiration I actually have for China, because their basic dictatorship is actually allowing them to turn their economy around on a dime and say we need to go greenest fastest, we need to start investing in solar”? This is a book written on the fly by a man who has never been bound by fact. My favourite Levant gaffe came last year when he claimed Winnipeg’s James Armstrong Richardson International Airport had been named after one of Pierre Trudeau’s cabinet ministers. The airport is in fact named after that minister’s father, a Canadian commercial aviation pioneer who died in 1939, when Pierre Trudeau was nineteen years old. The errors in Trumping Trudeau run from the trivial (Levant gets the length of our border with the United States wrong) to the disquieting (he shrinks the Jewish population of Canada, while inflating the number of Muslims). Just how the author got these things wrong is a mystery; Trumping Trudeau contains no citations, no footnotes, and there is no bibliography. Already, Trumping Trudeau is a book crying out for a revised edition, something easily done with ebooks. I suggest the author begin by rewriting the first sentence: “The Justin Trudeau Era lasted precisely 386 days.” The Shiny Pony might have a few more rounds left. Jason Kenney wants Stephen Harper’s job. But is he too extreme for the Tories?